XLE-V6! NAVIGATION, BACK-UP CAMERA, SUNROOF, LEATHER, FULLY LOADED! XLE-V6! 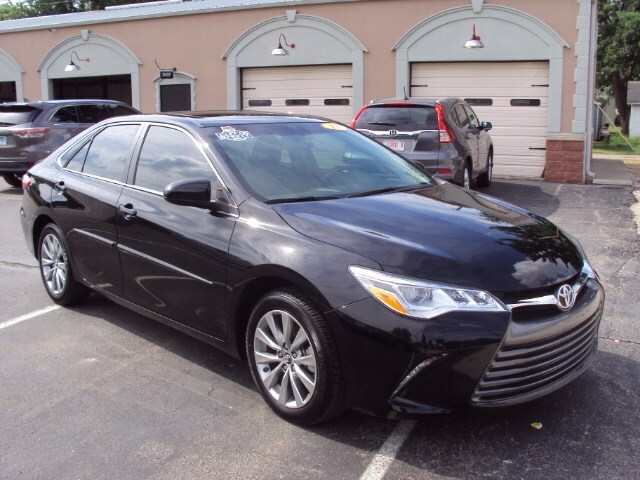 NAVIGATION, BACK-UP CAMERA, SUNROOF, LEATHER, HEATED SEATS, JBL AUDIO, BLUETOOTH, DUAL A/C, MP3, SATELLITE RADIO, BLIND SPOT MONITOR, ALL POWER, CRUISE, ALLOY WHEELS, ORG. MFG WARRANTY REMAINING, AND MUCH MORE. EXCELLENT CONDITION INSIDE AND OUT. THIS VEHICLE WAS A MFG BUYBACK FROM TOYOTA FOR ENGINE NOISE AND WATER LEAK. TOYOTA DONE A COMPLETE INSPECTION AND FOUND NOTHING WRONG WITH THE CAR AND IS FULLY GUARANTEED BY TOYOTA. FOR MORE INFORMATION CALL MIKE SMITH AT 618-926-4775.